I'm joined by iconic rock frontman/alternative rock figurehead Billy Corgan and musician/composer/returning guest Sheri Shaw (sstaria) for this week's episode (sponsored by Boost Mobile).&nbsp; The episode started with Sheri and me recording outside Madame Zuzu's Tea Shop and Art Studio, the cool, vibey North Shore teahouse owned by Corgan (582 Roger Williams Ave, Highland Park, IL 60035). Sheri's worked with Corgan for years (and continues to in the NWA), so it seemed like a natural place to chat. And it was a total "right place, right time" situation, as Corgan jumped into the car halfway through the recording. Before Corgan jumped on the podcast, Sheri and I talked about: The doesn't-taste-vegan-at-all vegan food at Zuzu's I tried the Corgan-created pickle sandwich Why Zuzu's is kinda like Ditka's I failed Sheri's spelling bee Sheri's role in Corgan's "wrestling empire" The power of the NWA brand Sheri's musical project, sstaria DEBUT MUSIC! Be the first to hear a sample from the new sstaria song "Cry Wolf," right here on this episode The video for sstaria's song "Sober" Billy Corgan-as-a-boss When might we see a live NWA event? Will Sheri be doing *all* the themes for NWA? "I go to a lot of small kids' parties" Did the Boost Mobile-branded Mazda 3 creep Corgan out? The first thing he said when he got into the car: "This looks so sketch." We talked about: Feeling old in the face of millennials The slow-out-of-the-gate viewer count on our Boost Mobile Facebook Live stream. Viewer Bill Denker got a shout-out from Corgan. It's good to be first one in. 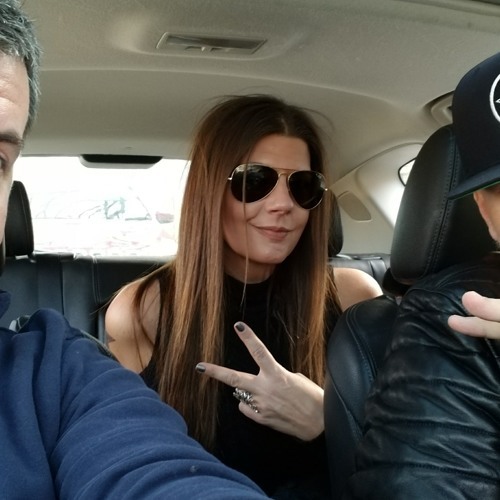 I'm a "micro-influencer" Corgan's ongoing concern about the podcasting-in-a-car concept: "There's something really creepy about this whole setup." The last time I interviewed Corgan, before the last Pumpkins show at United Center Corgan's "just a meme now" Was performing the new solo album "Ogilala" a risk? Is "Ogilala" Corgan's Americana album? Corgan's love of the old Bob Luce wrestling shows&nbsp; Corgan's recent Chicago performances at the hard-to-spell Athenaeum Theatre Is work on the NWA similar to running a start-up? How does NWA differentiate itself from the WWE? Has Corgan learned to "tune out" web chatter and clickbait? Corgan tells a funny story about making the Smashing Pumpkins' "Today" video Why Corgan isn't a "heritage act" This was a fantastically fun episode to record, and I encourage you to listen in full (no skipping ahead)! And please... tell a friend!